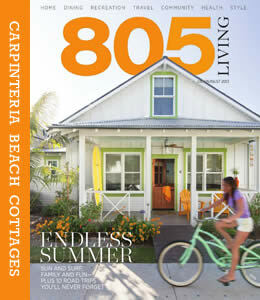 CARPINTERIA BEACH COTTAGES. Eight beautifully remodeled cottages, located 4 short blocks to the beach and a block and a half from main (Linden) street. 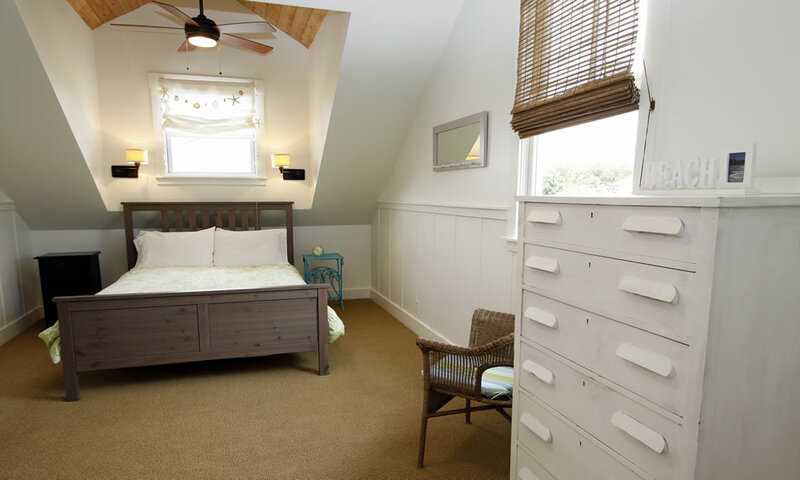 Six cottages features one bedroom (plus a loft). 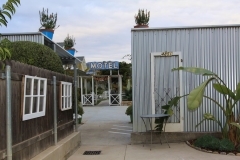 There is one bathroom with a shower. 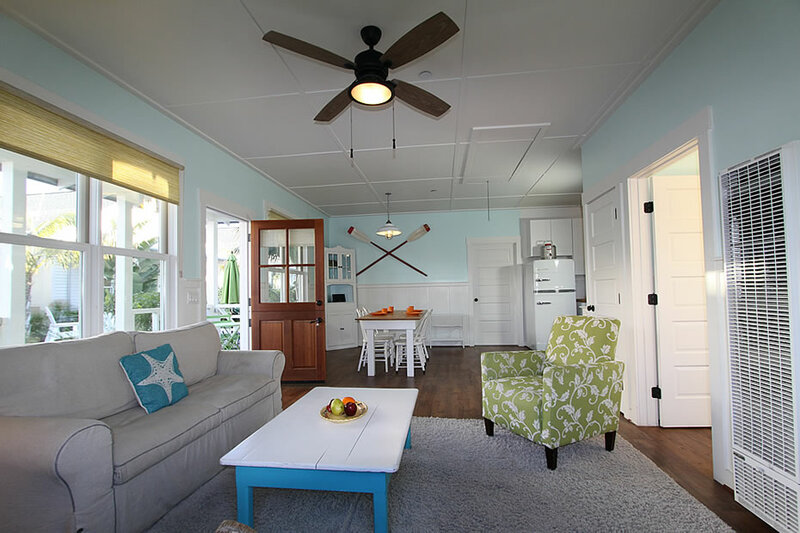 An open floor plan gives the kitchen, dining and living room area a comfortable and roomy feeling. Our newest cottage feature three bedrooms and two bathrooms with a living room, dining room and a full kitchen. 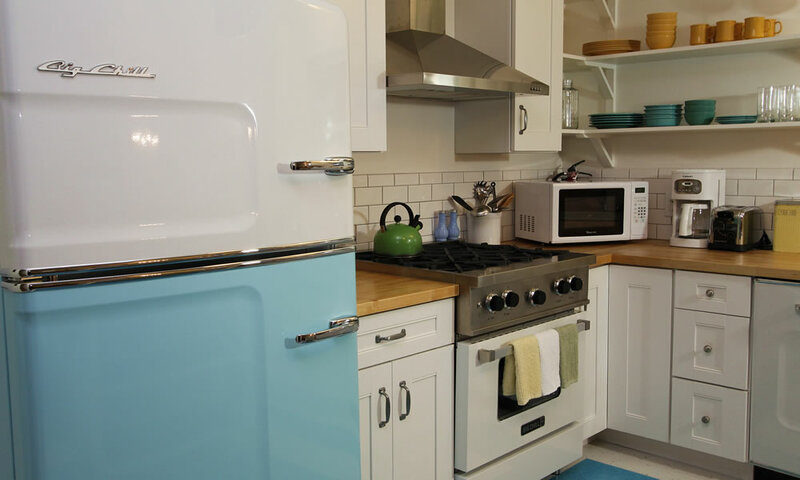 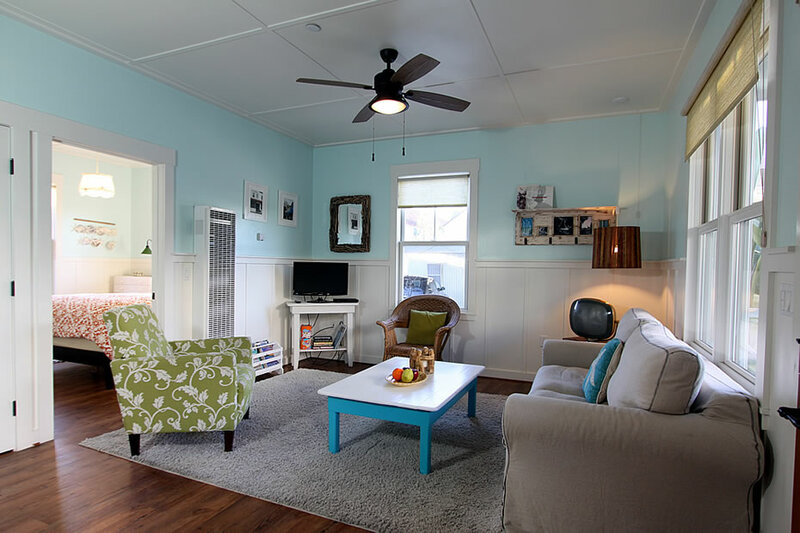 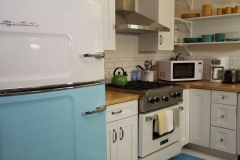 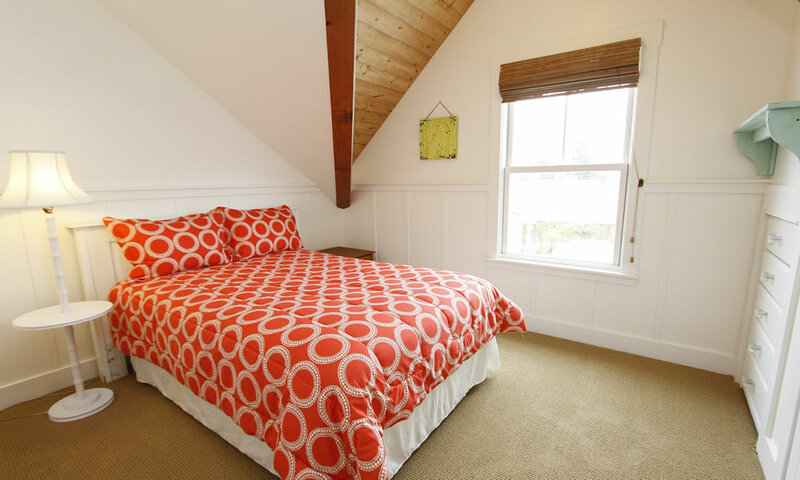 All cottages are sprinkled with vintage elements (vintage lighting, Big Chill retro appliances, furnishings). 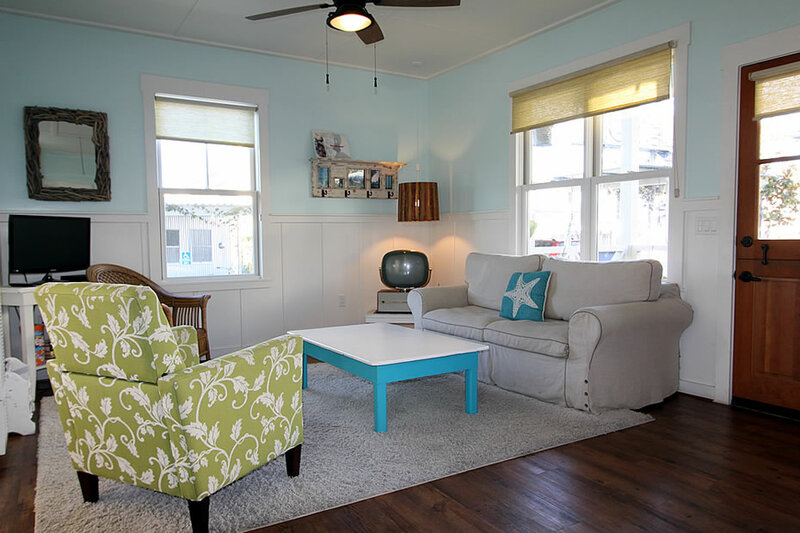 Amenities include beach cruisers, boogie boards, beach chairs, towels, vintage games. 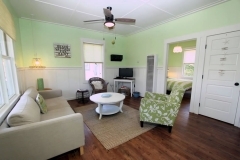 Relax by sitting on the front porch swing or enjoy the community barbeque/picnic tables area. 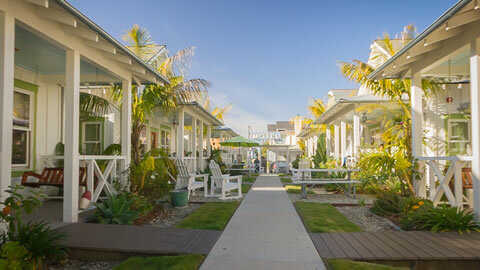 Feel free to pick fruit off of the various fruit trees on the property (limes for those margarita’s of course). 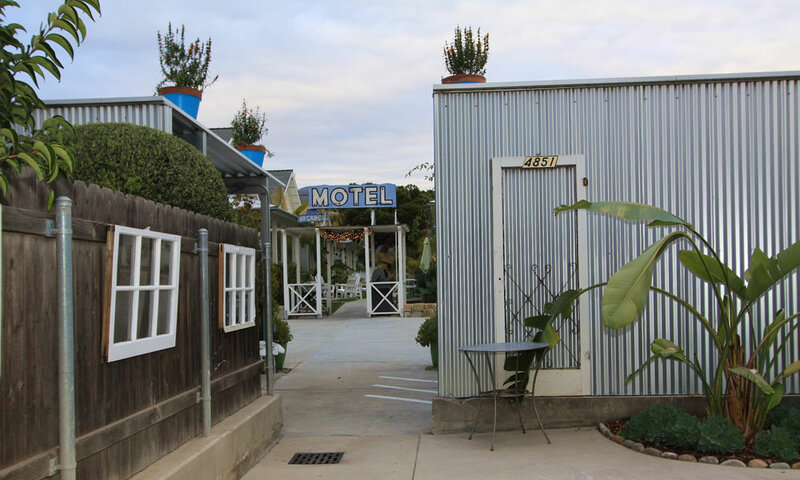 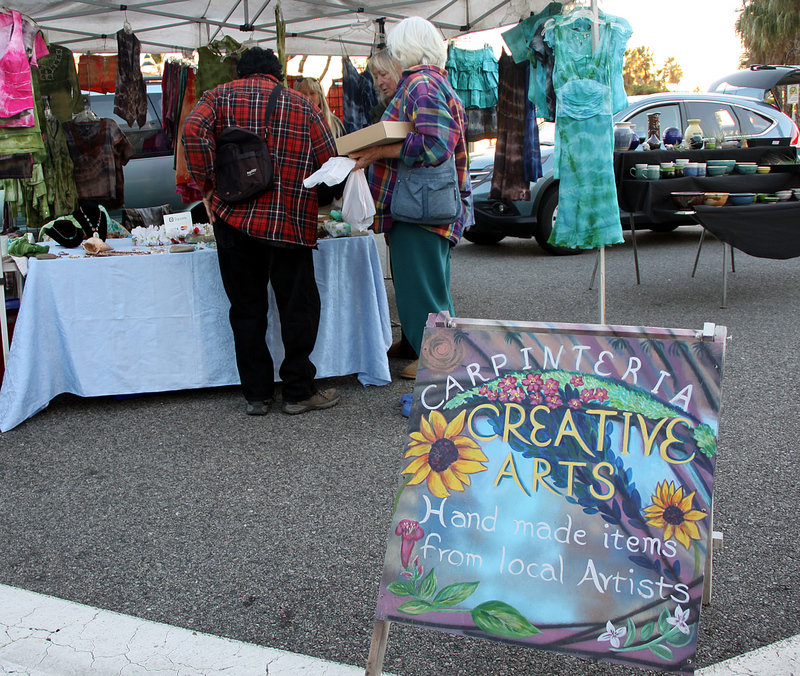 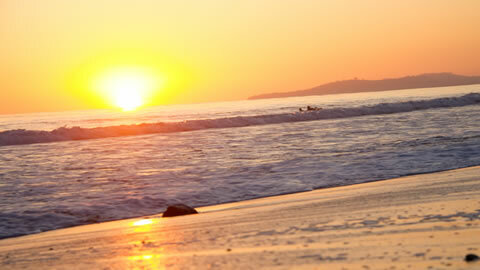 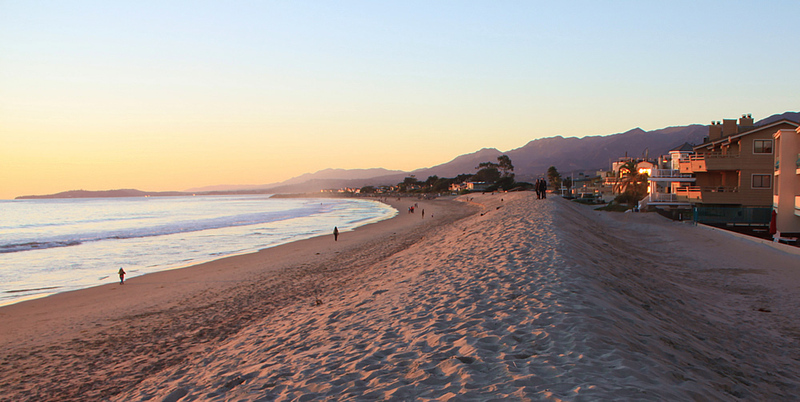 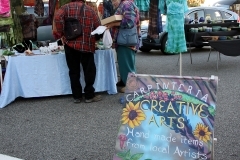 Carpinteria is the perfect California town that still feels like a step back into the 1950’s. 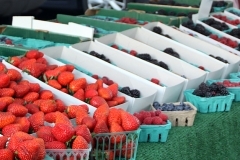 Shopping, groceries, restaurants are plentiful. 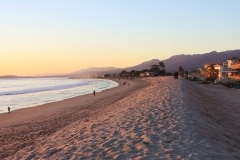 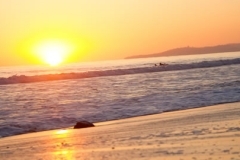 Other beaches within 2 miles include Rincon – great for surfing along with Santa Claus Lane where you can rent surfboards, paddle boards and other beach items. 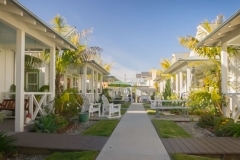 For your added convenience, forget your car, and arrive by the Surfliner Amtrak train, just 200 yards from our Carpinteria vacation cottages.